You are here: Home » Can you think of a worse brand name for diapers? Can you think of a worse brand name for diapers? Branding in another language is a fine art. There are so many examples of it going wrong. One of my favorites was Coca-Cola’s first attempt at translating its brand in China, and coming up with “bite the wax tadpole” or “female horse stuffed with wax” depending on the dialect. Subsequently, a project I did a few years back developing a brand for China required checks in over 20 dialects to ensure that there were not any Coca-Cola-like incidents. But a lot of the time it is not the translation that is the issue, instead a lack of understanding the local slang. 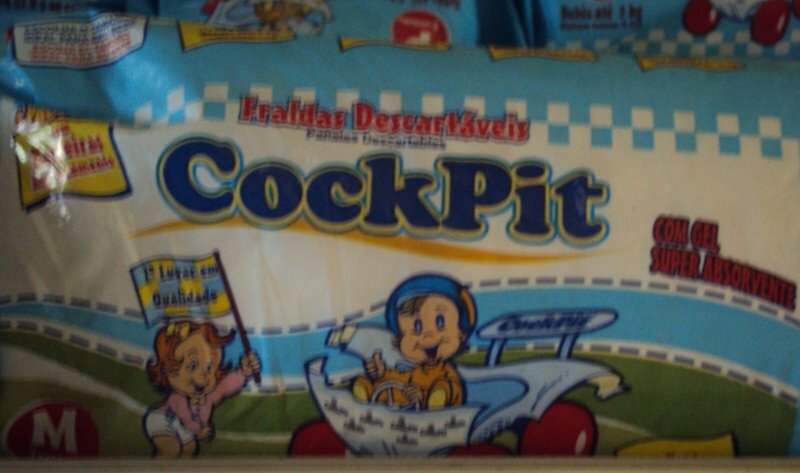 Which is why the brand name for these diapers I saw in a favela in Brazil is so damn funny.